It’s that time of year again. The sky is getting darker and the days are getting shorter. No one wants to admit it, but winter is right around the corner. While eating lobster often goes hand in hand with summertime bakes and boils, there’s no good reason not to enjoy it year round. Embrace the cold weather by hibernating inside and enjoying these old home-style favorites with a Maine lobster twist. While you can really add lobster to any stew or use it as a substitute for the meat in an existing recipe, there is a traditional way of making a base for lobster stew. It can actually be quite simple to make. Just cook the lobster in butter until it turns a pinkish color, then add cream slowly until you’ve got a good base. Then you can enjoy it as is or add vegetables and other additional ingredients of your own choosing. Stew is always great for warming up after a long day of cold weather. The pot pie is as classic an American food as any, so why not try it with delicious Maine lobster? There are three essential parts to a pot pie, the meat and vegetables, the sauce, and the crust. You’ll need to cook the lobster, combine it will vegetables, and pour a sauce made with stock, cream and other ingredients on top. Fill the crust with the mixture, pop it in the oven, and voila, a delicious lobster pot pie to bring you right back to Grandma’s kitchen. Chili is the ultimate winter food, providing warmth, nutrition, and delicious wholesome goodness all at once. 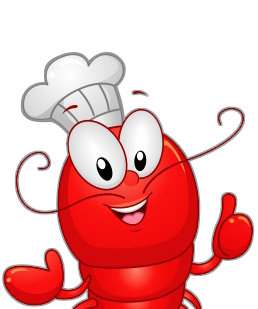 Lobster chili can be made much the same way as other chili, with tomato paste, chili powder, kidney beans, and spices. Sometimes, fish stock can be used to give it the appropriate flavor. Lobster chili is especially good for when you have some extra lobster meat left over after a big feast. Find the perfect winter recipe and try it with the freshest live Maine lobsters, delivered right to your door by Cape Porpoise Lobster Co.
Why Eat Wild Caught Salmon? Posted October 31, 2013 by Cape Porpoise Lobster Co. These days, the hottest foods are ones that combine delicious taste and natural health benefits. That’s why wild caught salmon has become all the rage. There’s a reason why it shows up on countless “superfood” lists, and is increasingly popular as a healthy option on restaurant menus. Wild caught salmon has real, powerful health benefits that make a great deal of sense, especially when the way these fascinating fish live is more closely examined. Before talking about salmon, let’s look quickly at the physiology of our own bodies, specifically the brain. It goes without saying just how important brain health is for the quality and longevity of life. What many people don’t realize, however, is that the brain consists mostly of fat. One omega-3 fatty acid that plays an integral role in the nervous system is DHA. It assists with cell signaling, allowing information to move smoothly between the brain, spine and other parts of the body. Not only do we need healthy sources of fat to keep the brain strong, we also need DHA to increase fluid mobility. It has been proven that higher levels of DHA and other omega-3 fatty acids can increase brain function while preventing neurological deficiencies and disorders. Salmon are often recognized for the way they swim upstream. In nature, they do this for the purpose of laying eggs. To perform the feat, salmon have evolved into being one of the strongest animals on the planet. As the old saying goes, “You are what you eat.” Indeed, salmon gain much of their strength from astaxanthin, a carotenoid and anti-oxidant found in the red algae they consume. Astaxanthin provides salmon with the omega-3 fatty acids they need for neurological and cardiovascular function, and also happens to give them the pink color they’ve come to be famous for. In turn, when salmon is eaten by humans, all of that healthy energy, including the full spectrum of essential amino acids, is harnessed into what also happens to be a delicious, satisfying food. Is it that much of a big deal for salmon to be “wild-caught”? Actually, it most definitely is. Farm-raised salmon don’t eat the same way their wild counterparts do, because they don’t need the high level of strength to survive in their natural habitat. Farmed salmon are fed an inexpensive diet of grain and meat, usually failing to achieve the pinkish hue that represents healthy amounts of astaxanthin. To compensate, synthetic astaxanthin from unnatural, chemical sources is used. The result is a less healthy, more toxic fish. Not convinced yet? Order some of our wild caught salmon filets, or any of our other products, to taste and feel the difference of quality, fresh-caught fish. What Are Some Seafood Recipes For Football Games? Posted October 16, 2013 by Cape Porpoise Lobster Co. This time of the year, seafood probably doesn’t first come to mind in other parts of the country. Why not? Seafood is great all year long, and during the fall when football consumes us every weekend, sharing our favorite seafood recipes and dishes is a must. You get all your friends together, ready to consume delicious food before, during and after the game. This is your chance to make some impressive meals and appetizers that everyone will enjoy! Who doesn’t love a delicious burger? On top of that, who doesn’t love delicious crab legs? The combination of two equals a hilarious, creative treat and a delicious option for your football loving friends. Try something different and make the patties out of salmon or look for a fish patty instead of traditional hamburger. There are a ton of ways to create these, but they are always a hit. If it’s early enough in the fall, you can still fire up the grill outside before the cold weather really starts to settle in. We have plenty of wild salmon to grill, but you could also throw on shrimp, lobster meat of scallops. Here’s a quick tutorial on how to prepare some salmon kebabs for the next game. You heard that right, lobster and corn on pizza. Although it seems crazy, this pizza is awesome and tasty. Maine lobster is the best in the country, so throwing it on a pizza is a no brainer. Grab some Cape Porpoise lobster meat and try this next weekend! Tags: Crab Recipes, Crabzilla Burger, Grilled Salmon Kebab, Lobster Pizza, Lobster Recipes, Seafood Recipes For Football Games, What Are Some Seafood Recipes For Football Games? Posted September 25, 2013 by Cape Porpoise Lobster Co. Seafood and wine go great together. There’s not a better combination for a romantic dinner on the Maine coast overlooking the Atlantic Ocean, or in a local quaint restaurant with someone special in your life. For many though, figuring out what type of wine goes with seafood, or lobster in particular, can be a difficult task. What if you’re attending a party and shrimp cocktails are being served as an hors d’oeuvre? Should you grab a glass of wine with it? To avoid the risk of looking naïve, you should have an idea of what types of wine pair with specific types of seafood. On top of impressing a date, loved one, friends or co-workers, the right wine pairing will only add to the overall taste and appeal of the meal. Together they create a delectable duo pleasing the taste buds and other senses. Who doesn’t want that? Below is a list of recommended wines to pair with a bottle or glass of wine. Check out our lobster, shrimp and crab deals for fresh Maine seafood. We bring our options directly to you, fresh from the ocean. Once you receive it, grab a bottle of wine for a great meal and evening. Posted July 23, 2013 by Cape Porpoise Lobster Co.
Shrimp cocktail is an essential for your summertime parties and soirees. No dish is more elegant and refreshing than a plate of chilled shrimp. This summer, surprise your guests with a different take on the average shrimp cocktail that they will be sure to enjoy. Here are a few ways to change-up your shrimp cocktails! One way to switch up your shrimp cocktail is to toss it with avocados, cucumbers, cilantro and lime juice. Serve in martini glasses for a unique, summer appetizer. The avocado and lime juice are great additions to a shrimp cocktail that will give it a zesty flavor, perfect for any occasion. Another fun alternative to changing your ordinary shrimp cocktail recipe is to provide different dipping sauces instead of just cocktail sauce. A creamy mustard sauce is often served at seafood restaurants and now, you can serve it in your own backyard! Add one tablespoon of Joe’s Creamy Mustard sauce, a ½ cup of mayonnaise, two tablespoons of ketchup, two tablespoons of minced celery, one tablespoon of minced parsley, two tablespoons of lemon juice, ½ tablespoon of Cajun seasoning, and one minced green onion into a bowl and combine! If you want a spicier version of shrimp cocktail, then combine chile sauce, horseradish, lemon juice, Worcestershire sauce and hot sauce. You can use this to either coat your shrimp and then grill on skewers or to make a dip. Either way, your guests will love the spicy kick of this alternative to shrimp cocktail! Posted June 7, 2013 by Cape Porpoise Lobster Co.
What goes well with lobster? The truth is, the options are almost endless, as it all depends on how you prepare the dinner. Grilling, chilling, and boiling all afford different tastes and textures, so you’ll want to complement with the proper foods and wines accordingly. Also, if this is your first time eating lobster, watch a quick video on how it’s done. What Wine Goes Well With Lobster? If you’re planning a lobster dinner and you feel a little lost on what to add, read this post, and then head on over to the Maine Lobster Council, and check out “Which Wine With Maine Lobster”. This post covers what to drink for a myriad of different cooking styles. They don’t just tell you which wines are great, they tell you why. -“You’re looking for some bracing acidity because of the vinaigrette. French Chablis, Sancerre or Pouilly-Fumé would all be great. An unconventional choice is German Riesling—a kabinett, high in acidity and matching the light freshness of the dish. If the salad has a strong herbal note or a lot of baby greens, I’d prefer Sauvignon Blanc. If it’s warm outside and the salad is primarily seafood without greens, consider a sparkling wine.” Read more here. Which Side-Dishes Complement the Meal? Most side dishes work universally, like cucumber and tomato salad with vinegar dressing, or even baked potatoes and a crunchy dinner roll. However, like the wines, there are specific palates that blend particularly well, and you want to maximize on that for your dinner. For example, if you’re grilling the lobster, and going for a large fancy dinner, add a small, bacon-wrapped filet mignon. Boiled lobster goes well with scalloped mashed potatoes or sweet potatoes (baked or mashed). End the meal with the best desserts. Most people agree, cheesecake and chocolate covered strawberries make the best ending to this meal. Both of these take about an hour, and taste amazing, making a wonderful finale to your meal. The best part is, you can get creative with the decoration of the strawberries and the cheesecake, so have a little fun with it. Posted May 3, 2013 by Cape Porpoise Lobster Co.
Impress your guests with a dinner party that encompasses the true essence of summer. Unlike a traditional outdoor gathering, a dinner party typically involved 6 – 12 guests. With warm nights and relaxed living, the summertime allows the host to create an enchanting atmosphere with lights, table decor and great food. Start by choosing a theme and composing your guest list. This will help you design an invitation, menu and décor colors. For inspiration take a look at our summer dinner party menu. We have chosen the theme of a lobster bake with nautical table decor and fun summer cocktails. All the Maine seafood listed below is part of the Cape Porpoise Lobster summer special, click here for more information. 1. Start by placing several mussels at a time in large bowl and gently swirl around the water to release any dirt or sand. 2. Once they are ready to be cooked, add about an inch or water in the bottom of a tall large pot. Then carefully place the Maine steamer clams in the pot and steam for 5- 10 minutes. If any of the clams stayed closed throughout the cooking process, discard. 3. Separate the steamed clams into serving bowls are pair with small bowls of butter for dipping. Tip: Throughout your table place empty bowls for the shells, along with smaller serving bowls filled with the broth from the pot. 1. Similar to the steamer clams, place your Maine mussels in a bowl of water and gently clear away any dirt. Drain. 2. Pour 1 tablespoon of olive oil in a wide-bottomed pan and set over medium heat. Add flavoring with the addition of chopped garlic cloves and chopped onion. Cook the seasoning for roughly 3 minutes or until golden brown. 3. Add your Maine mussels, 1 tsp. of sea salt and ½ cup of white wine. After bringing to a boil, simmer on reduced heat for five minutes. 4. Place the cooked Maine mussels along with the broth into serving bowls and accent with lemon juice. Serve with melted butter and bread. Tip: Open shells are an indication that the Maine mussels are done cooking. 1. Fill a large pot with 3 quarts of water per 1.5-2 pounds of live Maine lobster. Add ¼ cup of sea salt for each gallon of water. 2. Bringing the water to boil, then add each live Maine lobster one at a time. Begin timing and do not cover. 3. After cooking, allow the Maine lobsters to sit for 5 minutes and absorb the moisture in the shell. Tip: Pair the Maine Lobster with corn on the cob and roasted potatoes to complete the main course. When serving the appetizers offer your guests fun and colorful summer cocktails to add to the experience. Then for the main course of lobster, serve with white wine or beer to enhance the flavor. For invitation inspiration, table settings and delicious cocktails, check out our Summer Lobster Bake Pinterest board. Posted April 1, 2013 by Cape Porpoise Lobster Co. If you’re tired of the cold weather, don’t worry, because things are heating up in Kennebunkport, Maine. March 29th is the day Cape Pier Restaurant opens for the 2013 season. Imagine yourself and your loved ones enjoying delicious Maine lobster fresh from the sea in a restaurant overlooking the water. Cape Pier Restaurant makes that ideal experience come true, as you and your friends and family look out on one of New England’s most picturesque harbors. Locals and tourists alike love the experience of dining on fresh lobster and seafood at the relaxing and casual Cape Pier Restaurant. Kennebunkport, Maine is perhaps best known to the world as the place where former President George H.W. Bush has a family compound on the water, a place where he, his wife Barbara, and various family members spend quality time. It’s fun to drive out to the coast and see the Bush compound. It’s not something you can actually visit, but you can stop along the highway and see it in the distance as it juts out into the sea on a small peninsula. After people see the Bush compound, the next most popular thing in Kennebunkport is having a meal at Cape Pier Restaurant at 79 Pier Road on the town’s lovely waterfront. The restaurant, which is generally open from 11 a.m. in the morning ‘til “close,” whenever that may be, is an ideal place for lunch, dinner and private events. The Cape Pier Restaurant is supplied by the Cape Porpoise Lobster Company, an in-town supplier of fresh Maine seafood. Besides lobster, you can enjoy shrimp and scallops, among other delicacies. If the weather’s nice, enjoy a meal or lobster bake outside on the restaurant’s Chowder House deck, and if it’s chilly, stay inside and enjoy the view from Cape Pier’s large windows. Cape Pier Restaurant’s early spring hours are 11 a.m. ‘til “Close” on Friday, Saturday, Sunday and Monday nights. After May 1st, the restaurant will be open seven days a week through October 31st. Call 207-967-0123 and make your reservations today! Posted March 4, 2013 by Cape Porpoise Lobster Co. Lobster rolls are synonymous with New England cuisine. From the shores of Long Island to the coastal waters all the way up through Maine and Canada, it seems everyone has their own recipe for this crustacean treat. Most recipes call for chunks of steamed lobster meat, including claws, knuckles and tails, tossed in a bit of mayonnaise or butter and placed on a split top bun. But no matter how you make lobster rolls, the lobster meat should always be the star, never to be outdone by added ingredients. Here are three recipes, comprised by the folks at www.kitchendaily.com, that are guaranteed to satisfy any seafood lover’s palette. To make this delicacy, begin by tossing the lobster with the lemon juice in a bowl. Next, add the mayonnaise and stir, adding more if necessary to moisten the salad sufficiently. Season it with salt and pepper to taste (use pepper sparingly). Refrigerate the dish for approximately four hours if not intending to eat right away (though how could you resist eating these lobster rolls immediately?) Heat a cast-iron griddle or large heavy skillet over medium heat. Brush the sides of the rolls with the melted butter and place on the griddle. Turn the rolls until both sides are lightly browned. Open the rolls and spoon in the lobster salad, heaping it high. Sprinkle lightly with snipped chives or chopped parsley for color. Serve immediately. Begin by mixing celery, lobster, mayonnaise, yogurt, chives, jalapeno, salt, pepper and Old Bay seasoning together. Simply spread the salad over a warmed hotdog bun and serve with a side of lemon. French fries nicely complement any lobster roll though the rolls are delicious enough without any side dish. Begin by preheating the grill to medium-high. Lay lobster tails soft side up on a cutting board. Cut the tails in half lengthwise through the shell using kitchen shears, starting from the fan. Loosen the shell from the meat by running your finger along the inside of the shell. Brush the meat with oil and then lay the tails on the grill, cut side down. Cook the meat until lightly charred and meat is opaque and thoroughly cooked. This should take approximately 5 to 6 minutes. Remove the lobster meat from the heat and transfer it back to the cutting board. Toast buns over indirect heat for 4 minutes. Cook snow peas until bright green in boiling water for about one minute. Drain under cold water and slice thinly. Coarsely chop the meat upon removing the tail. Finally, mix celery, mayonnaise, lemon juice, shallot, mustard, tarragon, pepper, salt and garlic powder in a large bowl and gradually stir in the chopped lobster and snow peas. Divide the salad among the toasted buns. CLICK HERE TO ENTER TO WIN 2LBS OF MAINE LOBSTER MEAT FROM CAPE PORPOISE LOBSTER CO! Posted February 13, 2013 by Cape Porpoise Lobster Co.
Our collective love affair with lobster knows no limits. Some people associate the crustacean with coastal living and dining. The sight and smell of a lobster brings them back to times spent walking beaches, fishing in the ocean and living the coastal life. Others just simply love the flavor and various ways to prepare lobster. From split lobster tails drizzled in butter to lobster rolls, bisque and everything in between, this seafood delicacy usually requires a thorough cooking and carapace removal process. Here is a list of tips on how to properly boil live Maine lobsters, turning them from a rich brown to a satisfying shade of red. Go ahead and get your lobster bib ready. Once you master the art of lobster preparation, you’ll be ready to dig in! To begin, fill a large pot with water and set it on the stove to boil. You can make a tasty cooking broth by combining the water with thyme and bay leaves. Squeeze the lemon juice into the water and then drop in the rinds. Bring the pot up to a high boil. It’s important to begin with a live lobster, as it tends to cook better. When a lobster is already dead, sometimes it will not cook properly or produce the best taste. If your lobster was banded on the claws, cut them off so they don’t go into the broth you have created. Be careful when handling a live, un-banded lobster as it has very sharp pincers and claws that can be dangerous to the handler. And though the lobster is, at this point, still unaware of its impending future, it can still be pretty salty about being pulled from its ocean home. Using a towel, grab the lobster by its mid-section, keeping its claws away from your body. Place it head first into the boiling broth. This way, the lobster doesn’t have a moment to suffer. Cover the pot with a lid and begin boiling. Lobster cook times may vary depending on the size of the crustacean. Typically, a lobster weighing one to one and a quarter pounds will take about 12 to 15 minutes. For every pound, add five minutes. You will know the lobster is fully cooked because its shell will have turned bright red and the tail will have curled underneath the body. To be sure, tug the antennae of pull one of the small walking legs. They should come off easily. The meat inside the lobster will be firm, white and the tomalley, which fills the body cavity, will be a greenish-yellow color.